You can return most goods for refund or exchange if they are sent back to us within 28 days of purchase and they are in as new condition with the original receipt and packaging. If an item has been personalised, i.e. printing or engraving we are unable to refund or exchange as we would be unable to re-sell the item. Videos, CD's and DVD's can be returned if the seal has not been broken and jewellery items can be returned if they have not been personalised, but we do not accept returns or exchanges on earrings, underwear and swimwear for hygiene reasons. Please take a look at the mail order exchanges section of our terms and conditions for further information. You are also able to exchange any goods in any of our stores as long as you have a valid receipt and return it within 28 days of purchase. 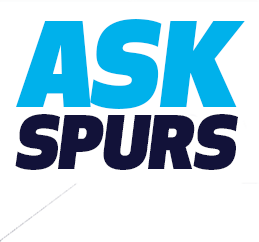 Please click Spurs Returns Help Centre for all information on how to return a product. Where do I return an item? If you are not completely satisfied with your purchase and would like to change the item (s) we will be happy to exchange most goods* provided that they are returned in a new and unused condition, with your proof of purchase and within 31 days** of receipt of the goods. There are a few exceptions to this which we have outlined below. There will be no postage applied on normal exchanges; we will only apply a charge to your exchange if you specifically request that we send the replacement items using the express delivery service. All goods to be exchanged must be received back in a new and unused condition, with the original wrapping and the Mail Order invoice or shop receipt. Please re-use the original packing material if possible, and if from Mail Order, use the return label attached to the invoice.